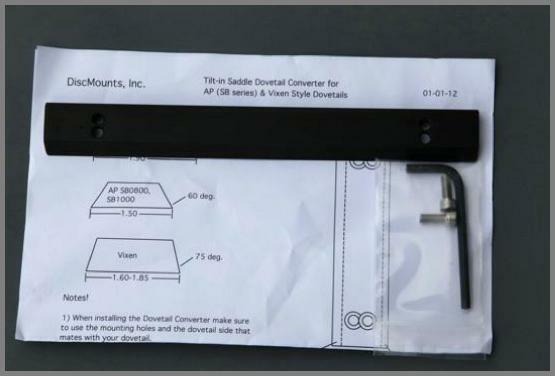 In conjunction with Discmounts’ 8” Tilt-in Saddle-3, this now allows the use of your Vixen-style and other 1.5” to 2” wide Dovetail plates. Astro Physics (AP) SB0800, SB1000, and SB1500 Dovetail plates. 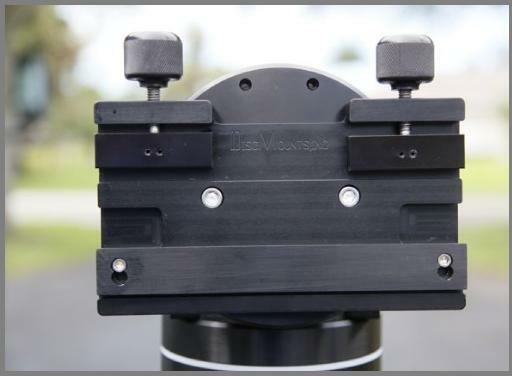 Dovetail plates from 1.5" to 2"
Note: We don’t believe the 1.9” and smaller dovetail plates should be used with telescopes larger than 4” aperture.